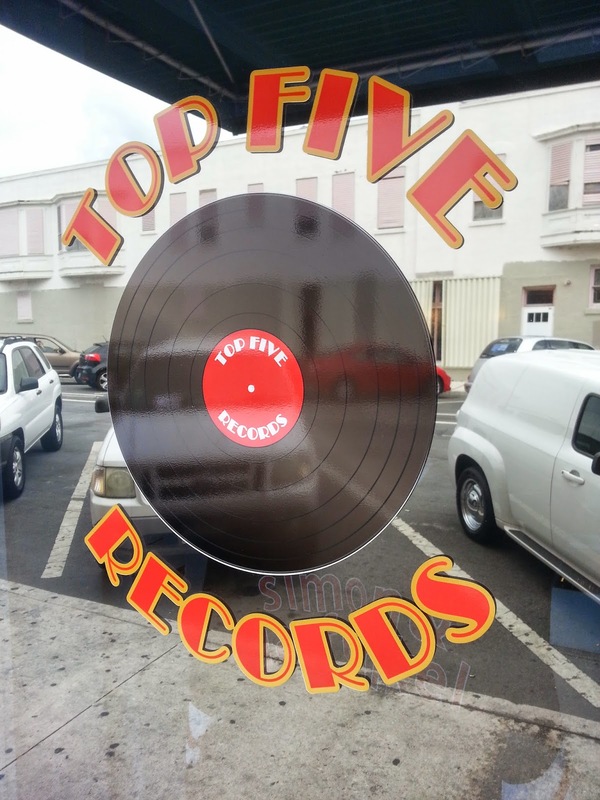 Top Five Records sits unassuming next to a comic book store and coffee shop, with nothing more than a pretty badass logo on the front two windows. 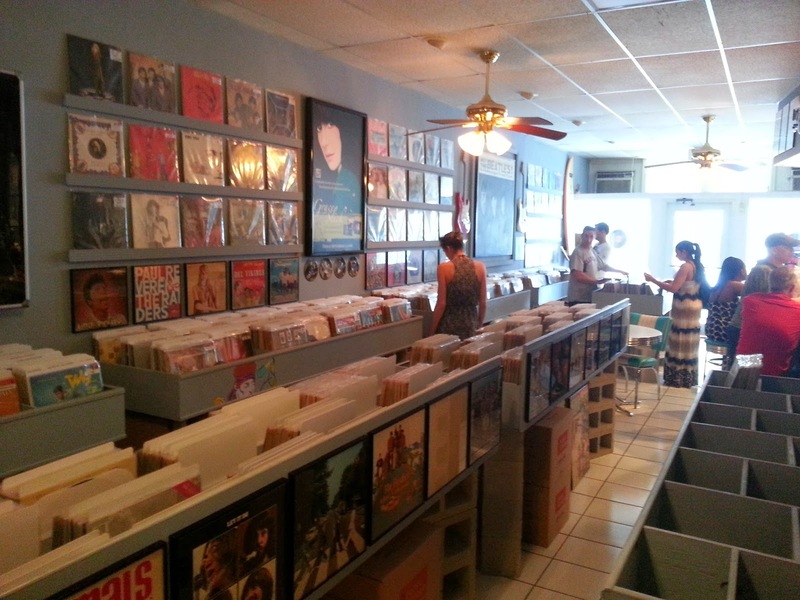 Walking into the place, the talk of records, concerts and old music war stories hit my ears. 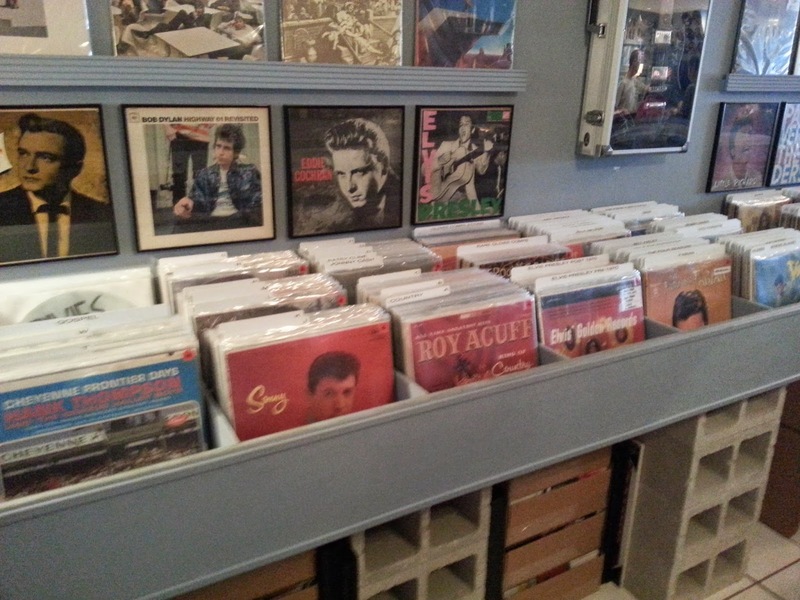 There were folks just stopping by to talk music with the man behind the counter, which presumably was the owner. What a great life it would be to talk music all day with people who share the same passion. 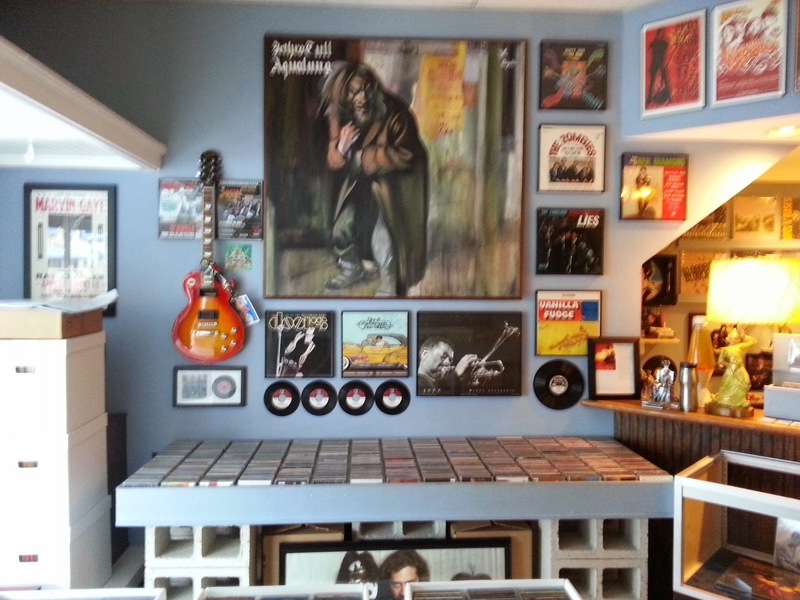 The walls were covered with rock nostalgia and framed records, setting the perfect atmosphere for searching through the multiple crates of vinyl. 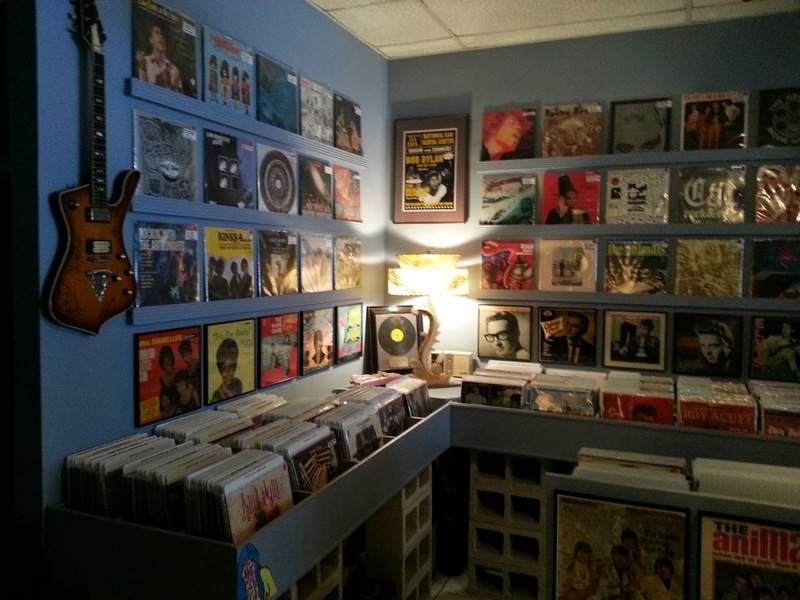 As I walked further into the back towards to blues and soul section, I took a left into a smaller room that held more crates of 7" vinyl. 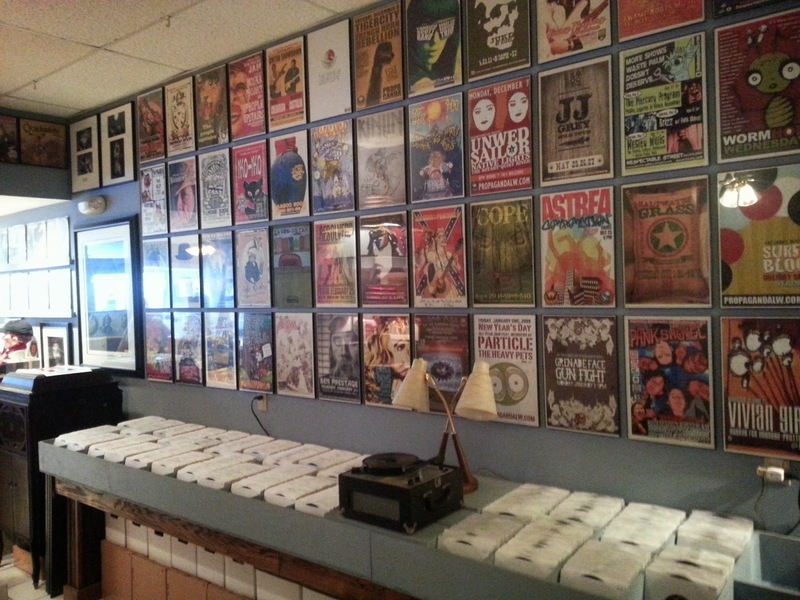 I looked up to see the wall covered in gig posters. If anyone knows me, you know my love of a great concert poster. Most of the posters were a bit obscure to me except for a cool JJ Grey poster that hit me as soon as I turned the corner. I began to search for a keepsake from this fine established when I noticed the prices were a bit high. Maybe I am used to the great used record stores of Northeastern Ohio, with their amazingly low prices (Blue Arrow in Colinwood comes to mind). 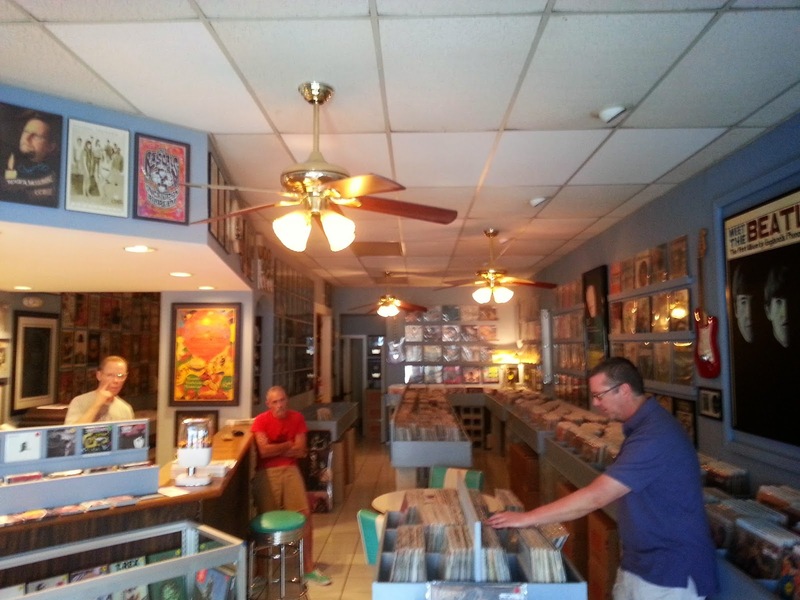 My buddy told me this was more of a collector shop and they pride themselves on great quality and rare finds. I bought in because the place was pretty damn awesome. 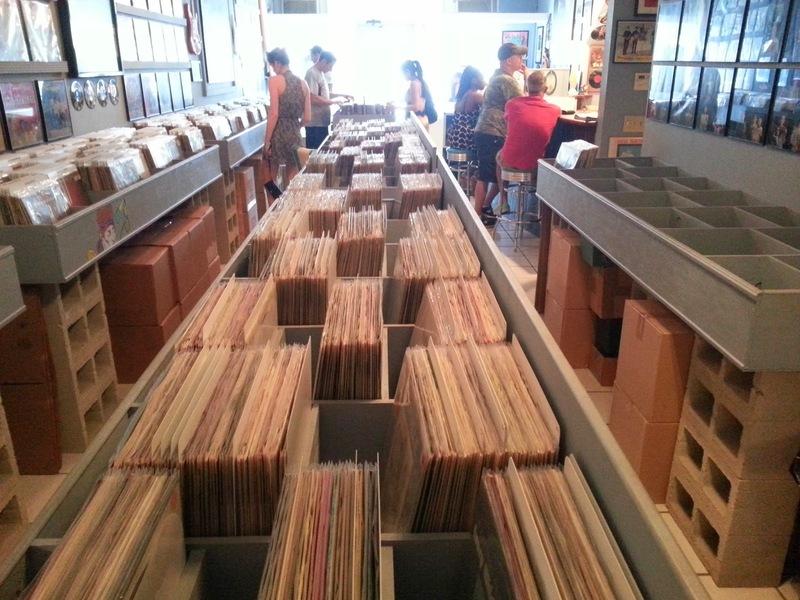 I ended up picking up a record from a fella that is near and dear to my heart. I have bought way too many James Brown and JB's records over the last two months. I'm a little embarrassed by it, but the man is a legend and quite frankly is the greatest entertainer of the last 50 years. You can contest with others, but nobody was a greater musician, dancer, singer, had more soul or was more generous with his band than James Brown.